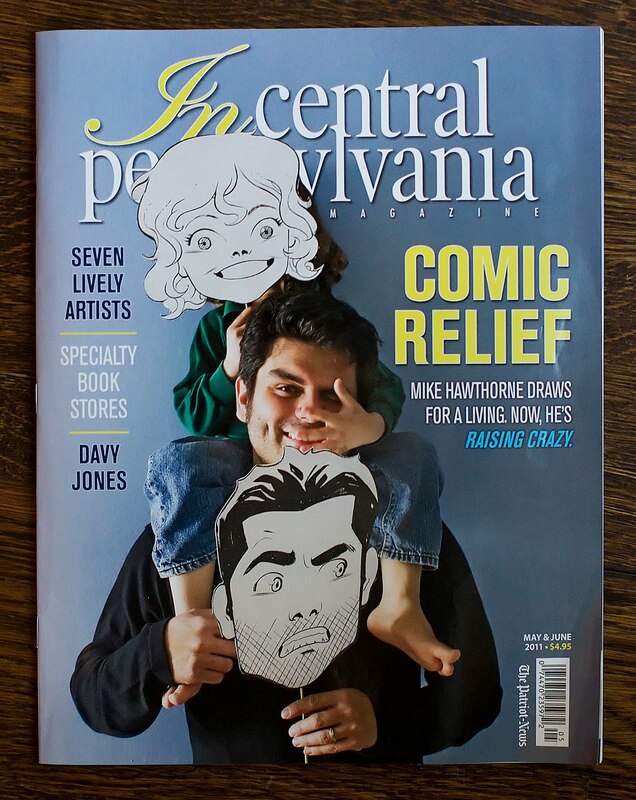 Mike Hawthorne: Raising Crazy interview in "In Central Pennsylvania" online! Raising Crazy interview in "In Central Pennsylvania" online! You can now read that Raising Crazy interview for "In Central Pennsylvania" online here! Love the article...you look very different without an eye patch. I just recently did a road trip to Virginia (from Mississauga, Ontario, Canada) and stopped by Cranberry. On my way back I visit the Monroeville mall and geeked out when I saw were "Dawn of The Dead" took place. Great cover photo! Love the concept for it!